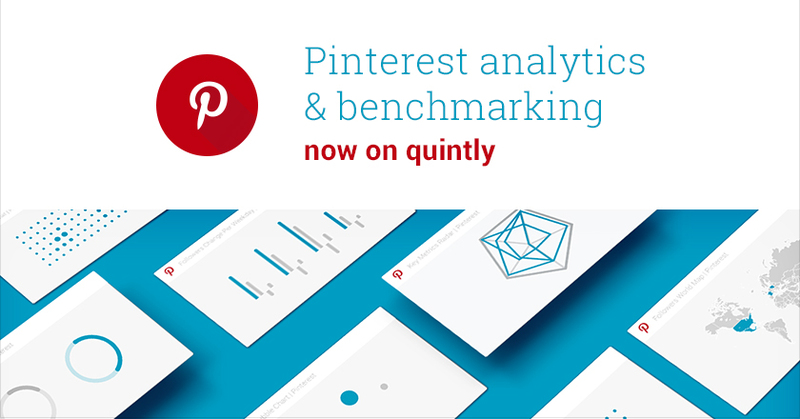 Cologne November 3 - Just three weeks after Pinterest opened their API the social media analytics provider quintly is launching a comprehensive Pinterest analytics product. Starting with 15 metrics, the company offers an in-depth solution to analyze Pinterest and compare its performance with other networks. 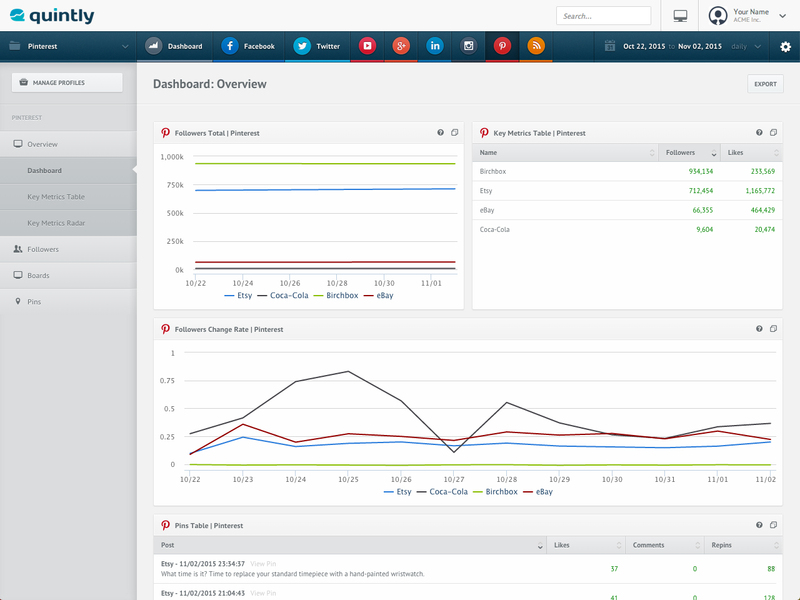 Among these metrics marketers can find the most essential KPIs such as follower growth over time, all metrics at board and pin level as well as interaction metrics. 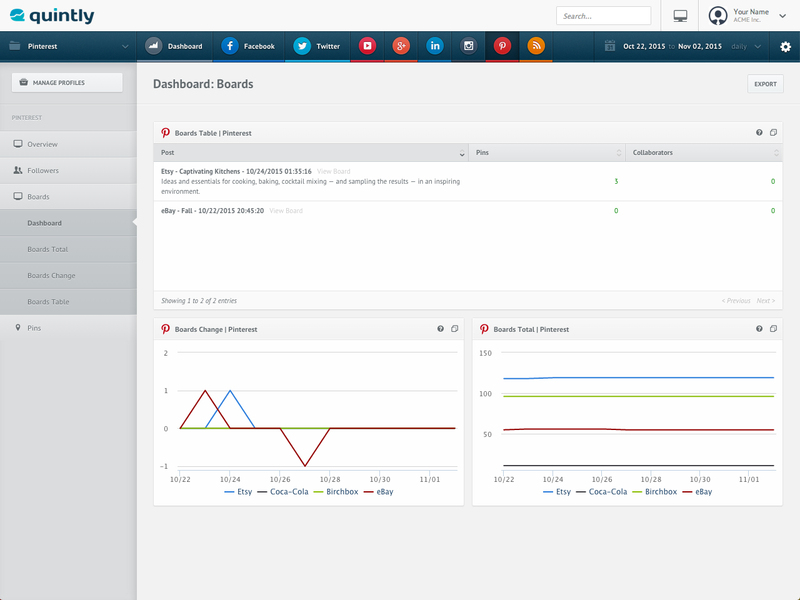 quintly Pinterest analytics enables businesses to compare cross-channel activities in one dashboard. This empowers companies to not only analyze all efforts in great detail but also to benchmark their own activities to the competition’s. “Pinterest gets increasingly more attention and marketers, especially from E-commerce, rely on it. We see that Pinterest is a highly interesting network and we are more than happy to offer it now to all our clients,„ comments CEO and Co-Founder Alexander Peiniger. With the launch quintly published an interesting Pinterest study , revealing numbers how brands are using Pinterest, compared to other social networks. quintly aims to enrich marketers’ abilities to allocate resources correctly especially in E-commerce. According to a study from Millward Brown nearly 90% of 'Pinners' already purchased a product because of Pinterest. Many image-driven businesses equate high performance with the rising network, as it grabs increasingly more traffic from E-Commerce.